While there are plenty of businesses operating only online these days, brick and mortar locations aren’t closing theirs anytime soon. It’s nice for customers to experience the world hands-on every once in a while instead of just from behind a screen. Not to mention, there are certain businesses that can’t be digital. People want a gym they can go to and do a full workout rather than compromising for at-home routines. They also like being able to take their dog to the groomers instead of doing it themselves and doing their own grocery shopping. However, your brick and mortar business does need digital support. 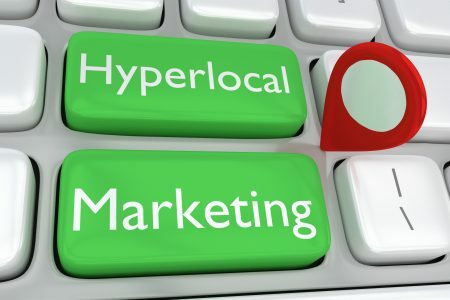 Traditional marketing doesn’t cut it anymore – you have to transition from brick and mortar marketing to a mostly digital campaign. Here are the top three reasons you need to start using digital marketing, with explanations of various online tools to help you best reap the benefits. Every brick and mortar business needs more foot traffic. The more people you have in the store/restaurant/studio, the more money you make. So, why not focus on building online traffic to create more foot traffic? The two go hand in hand! Get more people in the door with the help of an optimized website, a strong social media presence, and an email campaign. Site traffic refers to the number of people who visit your website every day/month. It’s one of the basic measurements of a strong digital campaign. When a site is receiving a lot of traffic on a consistent basis, the business is doing something right. The thing is, this doesn’t happen by just buying a domain and leaving the site alone. Digital marketing to boost online traffic require constant work. This “work” is a mixture of site maintenance, optimization, and content marketing. A website helps your business grow its online footprint, which in turn brings more people into your physical location. But, this is best done when you have a strong social media presence, too. Social media is another part of your online footprint. This is where you can be more personal with your audience. Channels like Facebook, Instagram, Twitter, and YouTube allow you to share sides of your brand people don’t always see. More so, these platforms help you reach consumers who don’t even know about you yet! The thing about site traffic is that it doesn’t always lead to conversions, especially when you need to get customers physically in the door. That’s why you need email campaigns to continue the conversation. Sending regular emails keeps you relevant in the minds of users. It helps you encourage current customers to come back and it gives potential new customers the push they need to pay you a visit in real life. Part of marketing – whether it’s traditional or digital – is creating authority. You want to set your brand apart as a trend-setter in your industry. You want to become the go-to resource for new information and innovative products. Digital marketing helps you achieve this via blogging and other kinds of content. If you’re going to do any kind of digital marketing, you have to blog. Blogging is what makes your website competitive in the search world. As you publish new, relevant content, you’re telling search bots to pay attention. This places you higher on a SERP and helps you reach more consumers. Guest blogging expands your online presence in a different way. This allows you to place your custom content on sites that are already popular. These platforms put your brand in front of users that may not have stumbled upon you otherwise. Remember the social media channels mentioned above? Some of these allow you to use a live feature. Going live is basically like having a video call with thousands of users at once. This means you can host Q&A’s with your customers, showcase a special event happening in your store, or just say hi. The live function is a great way to connect, engage, and convert. Another way to increase your brand’s authority is to leverage user-generated content. This digital marketing tool is anything your audience writes about you. It can be a review on Google My Business, Yelp, or social media. It can also be a social media comment on one of your posts or a custom user post with your business mentioned or tagged. All of these things play into your online reputation. Think of it as the word of mouth of the digital age. You want people to say good things about your business, and when they do so online, it supports your search performance as well as your overall brand image. The final reason to switch to digital marketing from brick and mortar marketing is to spend your money more wisely. There’s no need to waste funds in traditional tools anymore when the digital resources available to you can do so much. In fact, all of the digital tools mentioned thus far are free! However, you do want to spend some money on social media and content marketing if you want it to be the best it can be. Here’s a little on how that works. It costs you $0 to create a social media account for your business. But, if you want your channels to gain a large following, you should boost ads and pay for partnerships. These cost money, but the returns are invaluable. One boosted ad can reach a much larger amount of people than one poster or even a bunch of flyers ca. Not to mention, if you pay for an influencer to wear your clothes or talk about your donut shop, you can expect a huge spike in your social media performance. So far, digital marketing has been referred to as search, otherwise known as SEO. SEO is free. PPC, on the other hand, is when you advertise on Google. This can also be beneficial to your digital campaign. If anything, it’s more effective than traditional marketing. Keep in mind you don’t have to choose between PPC and SEO – you can use both, or you may find that you prefer one over the other. Brick and mortar marketing isn’t dead, it’s just not the ideal way to present yourself anymore. You need a website, you need fresh content, and you need social media. It doesn’t matter if you run one small mom and pop shop or you have various business locations. Digital marketing is a must. You can combine it with traditional marketing, but you can’t overlook it. To learn more about how digital strategies work, click here.